This is one of the fastest, automatic, Eco friendly dryers in the market place. C21 best selling dryer. The C21 Gladiator Hand Dryer is unique and different to all conventional hand dryers in the market place. 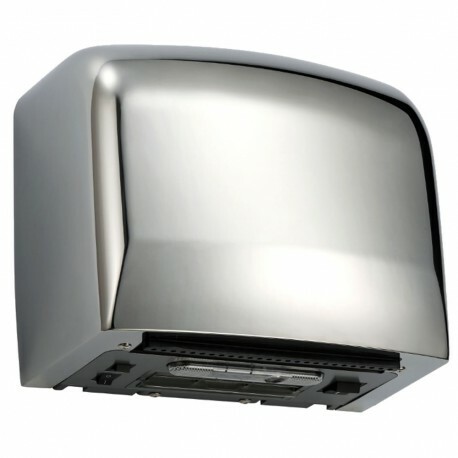 The Gladiator Hand Dryer has a BLADE of air instead of a tube of air, this provides a unique soft but fast and efficient drying process. Made from top grade Stainless Steel, this Hand Dryer is suitable for any environment, especially Schools and Restaurants. The Gladiator Hand Dryer comes with a dedicated heating switch, so you can choose between Hot Flow (1250kW) and Cool Flow (550kW) giving better energy efficiency and savings. With its dedicated noise reduction switch the Gladiator Hand Dryer is unique in being the quietest Hand Dryer in the market. 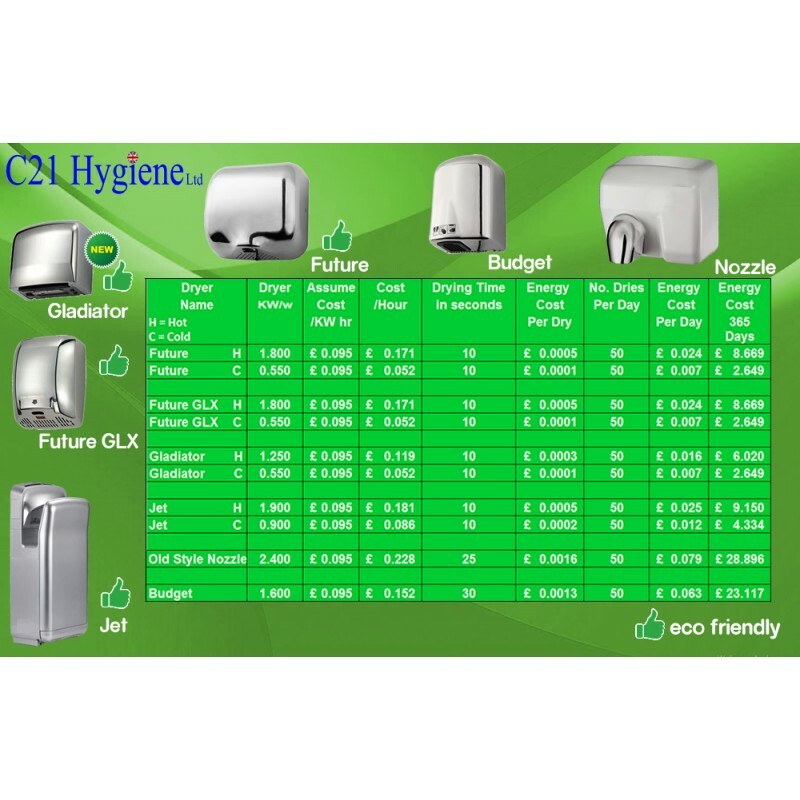 With a drying time of less than 10 seconds this hand dryer on average will cost less than £7 per year to run (see the cost chart above) meaning savings in running costs, allowing this unit to effectively pay for itself in under 1 year. Noise Output: 70dB to 58dB* (Via dedicated switch). Operating Voltage & Power: 220-240 Vac, 50/60 Hz, 1.250KW. Selectable 1250W / 550W by hot/cool option switch. Timing Protection: 60 seconds auto shut off. 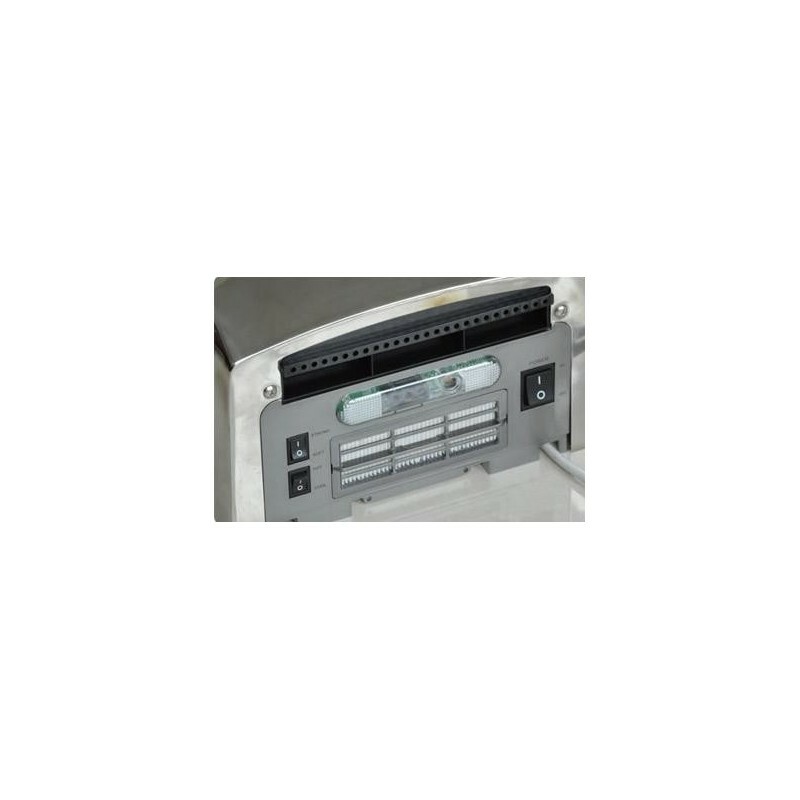 HEPA system to prevent bacteria. 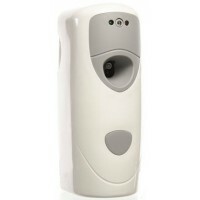 *58dB is the quietest hand dryer in the marketplace!